Anton Ishutin feat. Leusin – Presence with Kinly and Embliss remixes is OUT NOW as Beatport exclusive! Also supported by: Sezer Uysal, Luis Bondio, Soulwerk, Vinayak A, Nikko.Z, Martin Garcia, Dale Middleton, Lonya, Michael A, Erich Von Kollar, David Granha, EDU, WCross, Nils Feldhus, Deersky, Anthony Yarranton, Che Armstrong, Tuxedo, Monaque, Aeron Aether, Madloch, Eve Falcon, Ruben De Ronde, Soulfinder, Mango, Dustin Natais, and many more. 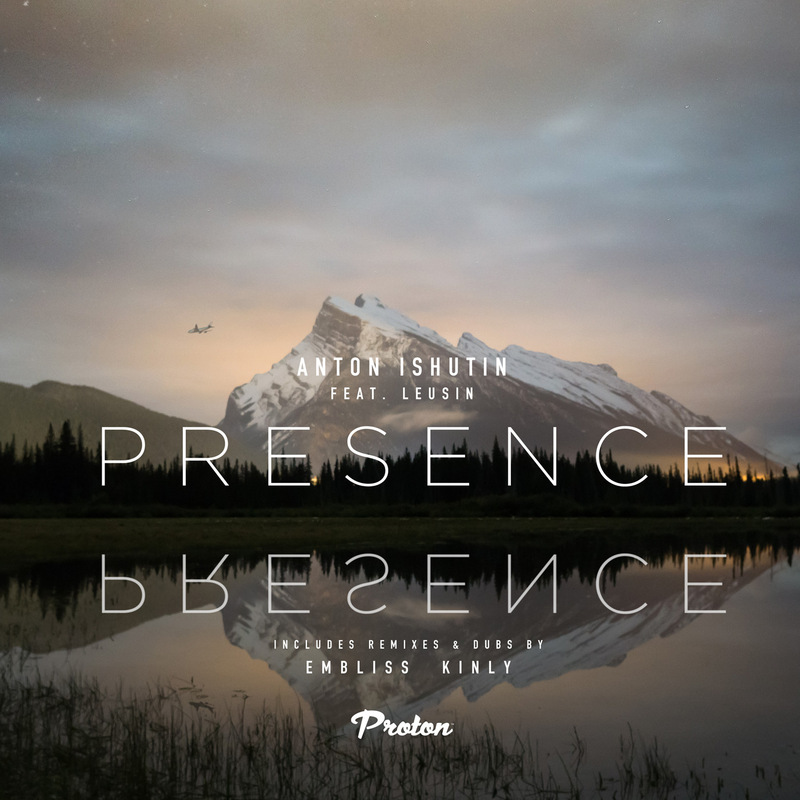 When Proton Music’s friends at Dear Deer contacted us about an exciting new project, collaboration between Anton Ishutin & Leusin provided a high quality “Presence”, further extended by remixes from the talented artist roster from both stables. Anton Ishutin has risen rapidly in deep house and indie dance circles. A polished sound has seen work feature heavily on the Dear Deer imprint since 2013’s pairing with Anturage produced the “Drunk Girl” EP. Since then, a clutch of other releases and remixes have surfaced while further work for Pepper Cat, Four Peas and Nuevadeep have cemented a reputation built upon support from the likes of M.A.N.D.Y., Kolombo and Dinka. Joining forces, on this occasion, with the vocal talents of Leusin, “Presence” is a sublime journey through striking percussive beats and haunting vocals that carry a blend of textured pads, emotive melodies and strong bass line to mesmerising effect. With an effortless use of space, “Presence” and its accompanying dub are works of class. Tim Embliss needs no introduction to the Proton Music faithful. A connoisseur of the electronic music scene since 2007’s debut and an important figure in the progressive breaks sound so prevalent in the mid 2000s, Embliss’ sound has matured and evolved in recent years to become extremely well respected and supported by labels and peers alike. Armada, Anjunadeep and Silk Royal have all played host to Embliss’ considerable talents as his work has seen support form Jaytech, Matt Darey and fellow countryman, Eelke Kleijn. A regular on Proton Music since 2008, it was 2013’s “Stronghold” EP that marked a watershed moment in Embliss’ recent production career with a shift to a deeper, much sought after sound. Extending his skill set into the deep house arena, the Embliss remixes of “Presence” demonstrate an individual with passion and talent as a huge bass line provides a strong anchor for subtle percussive hats and striking reverb-soaked lead to play off the vocal arrangement of the original. A sure and classy touch from Embliss has provided “Presence” with a gold standard rework. Russian star, Andrea Kinly has formerly shone behind the scenes with A&R for Tvardovsky owned, Stereo Paradise. Currently head of Maywin, Kinly’s own incipient production career began with 2013’s “Internal Confusion” EP with AudioAndrew for Deadfunk Music. Going on to represent Funkpony and Stop!Waiting, Kinly now follows up a further collaboration with AudioAndrew for 2014’s “Dear Deer Friends, Vol. 2” compilation as “Dreams” were realised. Taking on “Presence”, the Kinly remix retains Leusin’s haunting vocals and the enveloping sounds of the original, backed by a muted kick drum that expands to include metronomic house beats as the track evolves. Additional production material forces its way to the fore in incongruous juxtaposition as arpeggio and harmonica effect provide a powerful edge. The stripped back dub version then makes its play with a series of textures and effects in organic fashion.Six tracks of perfect symmetry combining the remix talents of Embliss and Kinly have provided Anton Ishutin & Leuisn with a strong “Presence” from which success is assured.